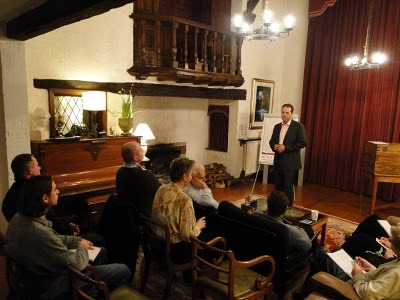 The lecture “Leadership in business” was recently given at The Wincel Group by a very experienced business consultant, Martin Kolb. Martin covered all areas of leadership including the principles that govern it. He also covered the secret to effective communication in leadership, plus how to build and maintain success as a leader in business. I realised that the cycle of communication that Martin described was an ACTUAL law and that violations of this law would lead to upsets. I also realised that admiration (for your staff and customers) is a very necessary part of the business of life and running a business. A person’s success in life reduces to the degree he doesn’t use these in life. Martin Kolb looked successful and spoke with such clarity I found him very easy to understand. He described how to communicate successfully and it made me see immediately where I was going wrong. So the secret to success was simplier than I thought. I’m glad I came.